A bipartisan group of senators proposed legislation on Sept. 26 to extend certain provisions in the Federal Information Technology Acquisition Reform Act (FITARA). Sens. 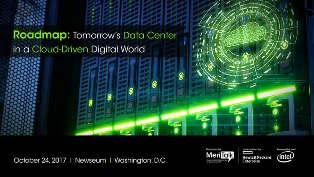 Steve Daines, R-Mont., Jerry Moran, R-Kan., Tom Udall, D-N.M., and Mark Warner, D-Va., proposed the extension that would add two years to agencies’ data center consolidation efforts. The bill is the same as the FITARA Extension amendment that was introduced by Reps. Gerry Connolly, D-Va., and Darrell Issa, R-Calif., and adopted by the House of Representatives in July. The Data Center Consolidation Initiative (DCCI), a pillar of the FITARA scorecard, requires agencies to keep an inventory on their existing data centers and report their closures to the Office of Management and Budget. The legislation extends the DCCI from October 2018 to October 2020. The bill continues three provisions that were set to expire over the past couple of years: Federal data center consolidation, transparency and risk management of major IT systems, and IT portfolio, program, and resource reviews. The Government Accountability Office (GAO) released a report in September that found that of the 24 agencies required to participate in the Data Center Optimization Initiative (DCOI), 22 said they were making limited progress toward the 2018 performance targets. GAO recommended that Congress extend the deadline to meet the DCOI goals, and that OMB require the 18 agencies to draft optimization plans. OMB, along with six other agencies, didn’t share whether it agreed with GAO’s conclusions.